It’s certainly been a while since we’ve heard new music from Sugarland’s Jennifer Nettles, but as it turns out, the wait has paid off. New this week, Jennifer released a track that pays tribute to the often forgotten fallen victims of the 2001 destruction at The World Trade Center. The track, “King of the City” is a heartwrenching emotional number and truly showcases the ability of a song to express something so raw in such a beautiful way. Country Music News Blog participates in advertising programs that help fund the operation of this site. For more information please visit our privacy statement. 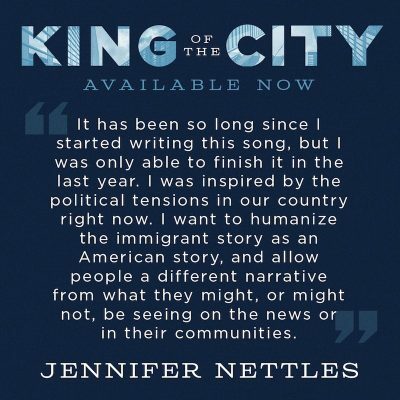 This entry was posted in Jennifer Nettles, New Music by Shauna "WhiskeyChick" Castorena. Bookmark the permalink.